Dr. Richard Winter graduated from the University of Minnesota School of Dentistry in 1988. He is an avid student having achieved the prestigious Mastership Award in the Academy of General Dentistry. This award is given after taking over 1000 hours of continuing education and participation courses and passing a rigorous examination. Dr. Winter has also been awarded a Diplomate award in the International Congress of Oral Implantologists. Fellowship awards in the Academy of Dentistry International and the International College of Dentists has also been conferred upon Dr. Winter. Dr. Winter just became certified in the ABOI/ID American Board of Oral Implantologists/Implant Dentistry. The ABOI/ID Diplomate designation symbolizes the highest level of competence in implant dentistry. Certification by the ABOI/ID attests to the fact that a dentist has demonstrated knowledge, ability, and proficiency in implant dentistry through a rigorous examination process. Dr. Winter has lectured on advanced reconstructive and implant dentistry throughout the country and has published several articles on Upgradeable Dentistry, Advanced Treatment Planning, Reconstructive and Implant Dentistry and General Dentistry As A Specialty. 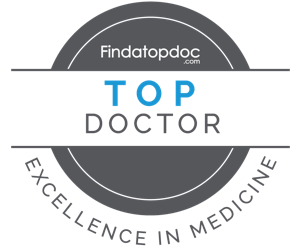 He has also recieved recognition trom the Expert Network as a Distinguished Doctor. In his spare time he enjoys playing tennis with his daughter Ariel and son Eli. His wife, Jaclyn also helps at Hampton Dental Associates and they enjoy biking and cooking together. Dr. Rick is also an MMA (mixed martial arts) judge and has judged for the UFC, K-1 and other Kickboxing and martial arts promotions. He practiced and taught various martial arts for 35 years. Dr. Rick Winter has completed over 652 hours of continuing education over the last 14 years. That is 152 over the minimum of 500 hours required. Dr. Winter believes in continually learning and improving and to provide the best possible care to his patients. Follow Dr. Winter on Instagram to discover his other passion…food!